Hover your mouse over the subjects below to access the pages. We make our fun and colourful soaps, in small batches by hand. ​ Our special recipe makes gentle bubbles and is full of nourishing goodness for your skin. We hope you enjoy our soaps. They are available to collect or order online. Go on and spoil yourself. They make great presents. Welcome to our cattery website. We hope it is informative and that you enjoy looking at our beautiful cats too! Try using our online booking system for quick and efficient confirmation of your bookings. Please check our 'Opening Times' page for any Public or Bank holidays closures. Our cattery is fully licensed with our local council, Blackburn with Darwen. All cats will need to be vaccinated for Flu and Enteritis, Leukaemia is highly recommended. Please make sure your cats are always de-flead prior to boarding, for cats that are boarded regularly there is a vaccination that your vet can administer, which is effective for upto a year. ​ there is a small daily charge for this. We offer a good range of quality foods and biscuits. If your cat requires a special diet this can be brought in with them. Fresh diets require a small daily fee. Male cats over 6 months will need to be Neutered before boarding with us. There is ample 'Free' parking outside the cattery. If you'd like to come over to view the cattery and meet us, this will be during our opening hours. Please don't visit other catteries on the same day. One cat £9.00/ £14.50 Family Room/ £17 for Field View Family Room. 2 cats sharing £14.50/ £17 for Field View Family Room. 3 cats sharing £18.50/ £21 for Field View Family Room. ​ 4 cats sharing £21.50/ £24 for Field View Family Room. ​For 1 to 4 Cats. or a Family Field View Room for £17 per day. ​please read it for details of opening times, etc. Vaccination cards must be produced for 'Each' visit. Please make sure your cats are De-Flead before visiting us! We also board small pets and charge £4.50 per pet. Please email any reviews to us. We are one of only 200 catteries that has achieved the highest standards to become ICC Approved and Registered. 'International Cat Care'. We support their charity which helps with the wellbeing of all cats. We have in stock, these very strong, top opening carriers. ​They make it much easier to load your cats in. ​They have a strong wire frame, this is plastic coated for easy cleaning. ​ Size 17" x 12" x 12" (L 43 x W 30 x H 30cm). We also stock plastic carriers, in s,m,l sizes at very reasonable prices. Our cattery is located in the pretty village of 'Edgworth' Bolton, Lancashire. Bromley Cross, Horwich, Westhoughton, Chorley, Smithills, Darwen, Blacksnape, Blackburn, Hawkshaw, Ramsbottom. Excellent cattery and lovely people. We have been using this cattery for roughly 10 years. The rooms for the cats are lovely and kept very clean. The cats are really taken care of by Jane and Graham and and I wouldn't hesitate to recommend the cats whiskers to anyone. I would highly recommend this cattery and I have been using it since we moved up here 2 years ago. Jane and Graham are always very friendly and professional and the handy opening times make it much easier to drop my cat off, before and after without having to have time off!! The cattery is nice and clean and Shakey likes looking out at the lovely countryside. Its quick and easy to book her in via email and Jane always sends a confirmation promptly. We've been using this Cattery for 10 years or so. It's really efficiently run, spotlessly clean and the owners are a pleasure to deal with. I particularly like the email booking service as I always get a quick confirmation back I can file away so I know I've booked our cat in. I wouldn't even think of trying somewhere else. The Cats Whiskers is a first class cattery which I cannot recommend too highly! My cats have stayed there many many times over the last 15 years or so. Batty is now almost 18 years old and I wouldn't want her to stay anywhere else. She is always happy and well cared for. Jane and Graham are very caring and friendly and also extremely professional. The cattery itself is clean and pleasant and in lovely surroundings and the individual pens are very comfortable. If you want the best for your cat, this is the cattery to choose. I have been using The Cats whiskers for a number of years now . It is always my first choice for my cat fizz. Graham and Jane take such good care of fizz and I have absolutely no worries when I leave her as I know she is very happy. 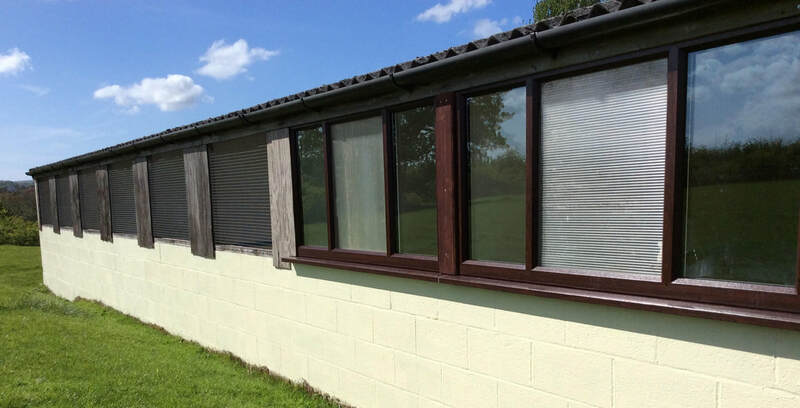 The cattery itself is beautifully clean and modern with heated rooms and the cats even have their own private outside run with a lovely view !! I have absolutely no hesitation in recommending this cattery and already have fizz booked in for 2 holidays this year .